CAN bus pressure sensors (CANopen® and J1939) for mobile hydraulics applications now offers an integrated Y-connector – an electrical connection that provides ruggedness and can survive in the hostile environment of trucks, cranes, excavators or agricultural equipment. When it comes to pressure sensors in mobile hydraulics applications their robustness and resistance to dirt, moisture and really rough treatment is a key concern for designers and operators of typical off-road vehicles and machinery. When using analogue output signals like 0 … 5 V or 4 … 20 mA, moisture ingress, often due to poorly sealed electrical connectors, can lead to erratic readings, sensor drift or other effects that directly impact the measurement value. 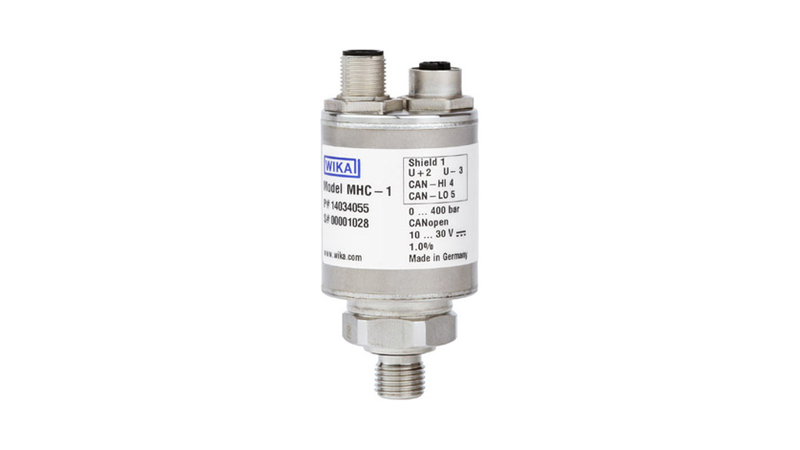 When choosing pressure sensors with CAN bus and its digital transmission, this effect on the data is of course eliminated and the integrity of any sensor reading is assured by the robust and safe digital transmission protocol. What gets easily overlooked though is the fact, that also with digital transmission, the electrical connectors must perform under the tough conditions of mobile equipment, because vibration, shock, temperature changes, mud and dirt as well as very rough treatment by the operating crew is a reality. One faulty connector in a typical linear CAN bus topology may in the best case scenario just lead to a missing device − but in the worst case scenario it makes the complete bus inoperable. The problem: The entire communication can fail − and in the typical linear topology of a CAN bus system, the whole trunk line may fail completely if only one connector fails − leaving a complete set of controls inoperable! It is obvious that the traditional Y-connector may work well in the lab − but cannot handle the rough treatment that mobile hydraulic equipment may experience in the real world. The traditional Y-connector is not only an expensive item but does not provide sufficient mechanical stability to survive in the tough world of mobile hydraulics. The integration directly into the housing of the transmitter provides extremely high reliability, allows the use of standard M-12 connection cables and is cost-effective. 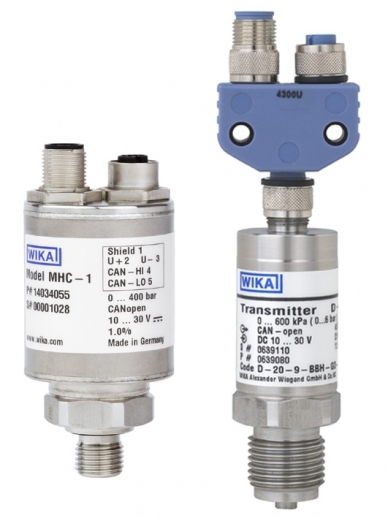 WIKA offers a solution with integrated Y-connector – pressure sensor model MHC-1 with output signals CANopen® and J1939. Please use our contact form if you need further assistance.